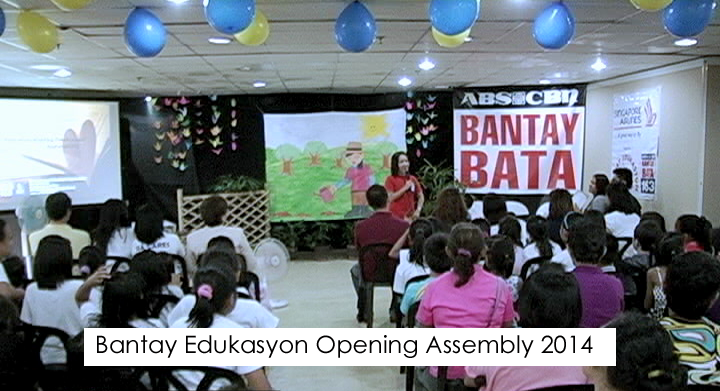 The scholars together with their parents and the sponsors of the Bantay Edukasyon Scholarship Program welcomed the new school year during Bantay Bata 163’s 2014 Bantay Edukasyon Opening Assembly. During the opening assembly, the scholars were able to receive their new school supplies and school shoes. 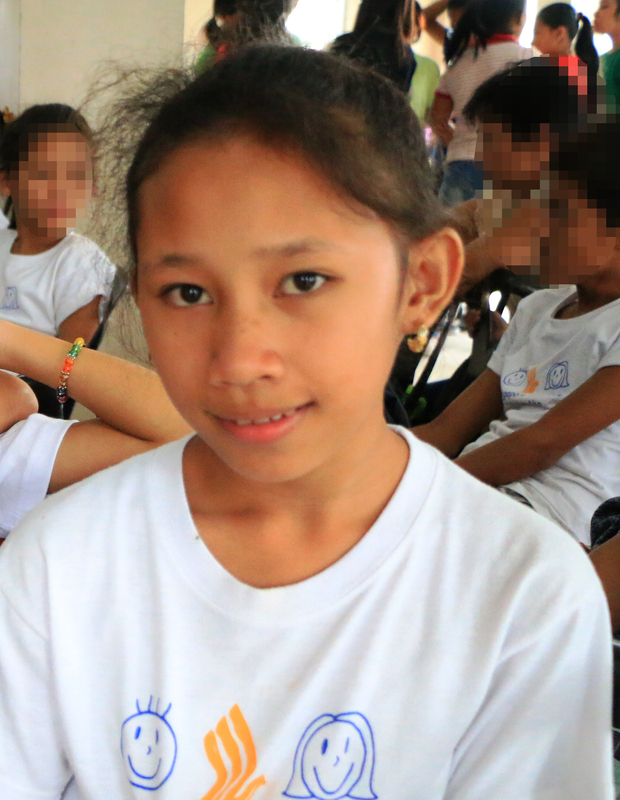 The scholars are truly grateful for another year of having a chance to learn and go to school with the help of different donors who did not think twice to give them a better life through the gift of education. Bantay Bata 163 would like to thank the following: Rockwell Land Corp., Marulas Industrial Corp., CA Exhibits Network, Inc., Ms. China Aurelio-Cabuñag, AMA Computer College, Results Manila, Inc., Mr. Ted Failon, Singapore Airlines, Mr. Dimpy Jazmines, Team Contrabida, The Everliving Company, Inc., Resort 4U, Mr. Sammy Dy, SkiDes Essential Water, Inc., Mr. Teodorico Delfin, Ms. Liza Fodal, Charme General Merchandise, Mr. Benchito Neri, Asian Development Bank and ADB OAFA, Yakult Philippines, Inc., PAWP (Philippine Association of Wedding Planners), Ms. Delia Merle, Force Savings Cooperative, Chicago Juzz Danz, Mr. Antonio Lubigan, Ms. Judy Mendieta, Jeddah Porsche Center, Mr. Nelson Julian, Philippine American Club of Fayetteville, North Carolina, Philippine Chamber of Commerce North Texas, Ms. Evelyn Armstrong, Dallas Pamana Foundation, MLD Engineering Soultions Inc., Ms. Aurora Tiu, Philippine Soong Ching Ling Foundation, Salome L. Tan Foundation, Uygongco Foundation, Ms. Aurora Lazo, Mr. Samuel Po, Ms. Tess Del Mundo, Mr. Anthony Lim, Sagip Kapamilya, Macquarie Foundation, and Chinese Filipino Business Club.